The selection of bio-surfactants in consonance with the pharmaceutical drug in the preparation of nanoemulsion for the controlled release of drugs and bio-compatibility is still a scientific moot. We have investigated the possible mechanism of drug-surfactant interaction in this research that can iron out the surfactant identification complication. The bio-surfactants 9-Octadecenoic acid, 9-Octadeceamide and Isopropyl Myristate isolated from a marine weed Enteromorpha intestinalis were used together to stabilize the nanoemulsion. 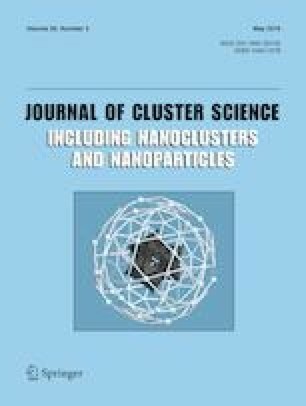 The encapsulation efficiency and release kinetics of Aspirin in nanoemulsion under different pH conditions from the nanoemulsion was studied. Nanoemulsion was prepared by the ultrasonication method and characterized by centrifugation, capillary viscometer, freeze–thaw cycle assays, dynamic light scattering analysis (DLS) and HR-TEM. The mechanism of drug surfactant interaction deduced using Spectrophotometric and ATR-FTIR analysis revealed the possible bond formations. In-vitro drug release profiles of aspirin (model drug) were evaluated by dialysis in different pH (1.2, 6.8 and 7.4) using by UV-spectrophotometry and the effective release of aspirin was observed in pH 6.8. The release kinetics was studied to identify the mode of release. The bio-surfactant based nanoemulsion of 15:6:9 composition exhibited ideal stability and controlled release in all pH conditions with linearity and time-dependent paradigm. The authors are thankful to DST-SERB for providing us with the fund to carry out the project under the project file number YSS/2014/000637. We also thank The South India Textile Research Association, Coimbatore for their help in GC–MS analysis. We thank Dr. K. Gopal Shankar for rendering his help in reframing the manuscript. N. Abdul Azeez, V. Sivapriya, V. S. Deepa (2017). Int. Res. J. Pharm. 8 (8), 34–40. https://doi.org/10.7897/2230-8407.088141.